Aviation Updates Philippines - The domestic passenger traffic of the Philippines increased by 3 percent in the first quarter of 2015, compared to the same time last year. Cebu Pacific stands out as it is the most preferred airline by passengers. The volume of domestic passenger increased to 5.23 million in the January to March period this year, compared to 5.06 million passengers who traveled domestic flights in the same period in 2014, according to the data released by the Civil Aviation Authority of the Philippines. In the first quarter, Cebu Pacific, the domestic market leader, carried 2.66 million passengers. Cebu Pacific recently celebrated the 100,000,000th passenger milestone on-board its Cebu-Manila flight on January 8, 2015. Meanwhile, PAL Express flew 1.17 million passengers in the first quarter. The third placer, AirAsia Zest carried 500,139 passengers in the same time this year. 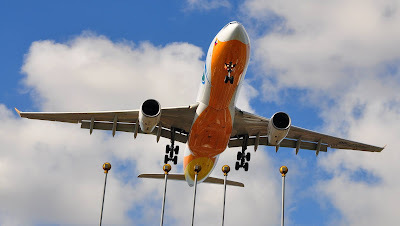 Cebgo, formerly known as Tigerair Philippines and South East Asian Airlines, transported 456,122 passengers around the Philippines while Philippine Airlines carried 327,716 during the three-month period. AirAsia Philippines carried 88,301 passengers while ITI Air (Island Transvoyager) flew 22,293 passengers. However, Island Aviation Corporation and South East Asian Airlines International did not fly any passengers in the first quarter of 2015.